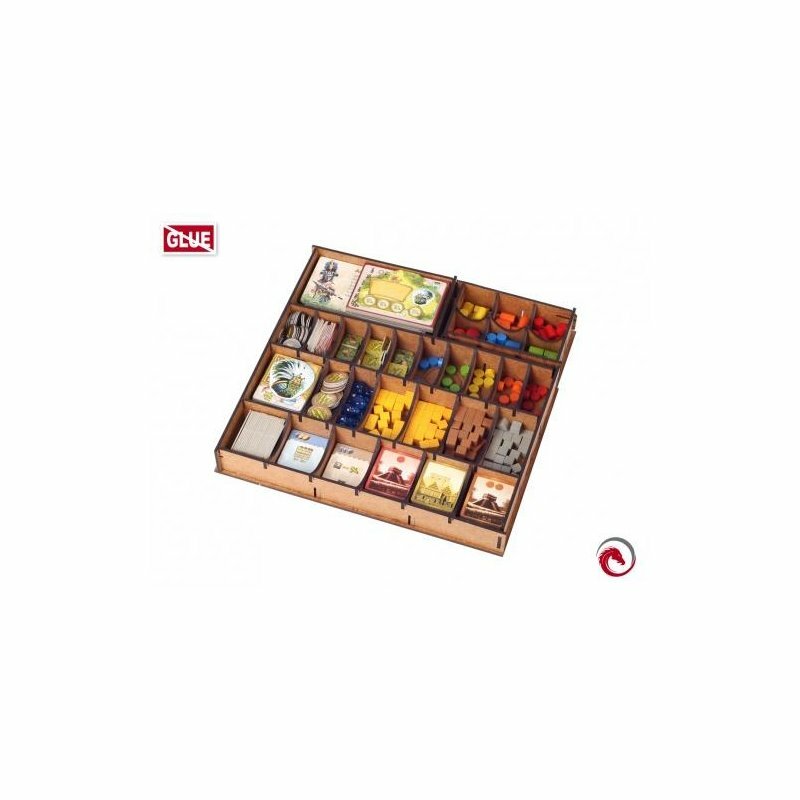 e-Raptor Insert compatible with Tzolk?in is a perfect accessory designed to organize and improve gameplay of the board game. 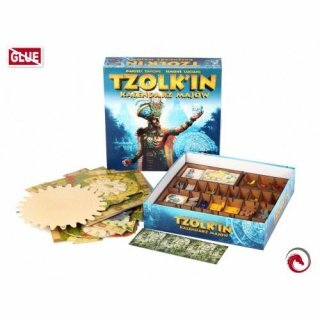 It is compatible with the base game and the following expansions: Tribes & Prophecies, Mini Expansion 1 (Bonus Monument ? Granary), Mini Expansion 2 (Bonus Monument) and Tribes & Prophecies ? Mini Expansion 1. Thanks to this insert you can arrange all game components and keep them in order ? no more mess on the table while playing. Nogears, more looking for necessary elements during the game. 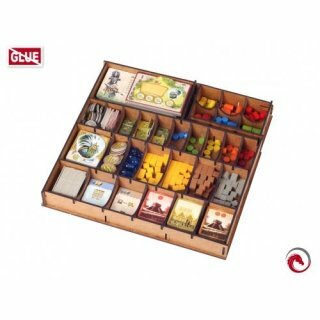 You can hold all your gears, player boards, workers, markers, wooden blocks, tokens etc. in one place without being afraid of losing control of the setting. They can be easily accessed and do not take as much space as during the game without an insert. Also, when the box is closed, the components are still kept in order, ready for setting another game quicker than ever before. The insert is composed of two parts ? both of them can be taken out of the board game box. You can see the suggested components setup on the pictures.